Kos Shel Eliyahu With Plate - Colorful. This artistic Cup of Elijah set is part of the Lily Art design collection. The set includes a glass saucer and a stemmed large Kiddush cup. 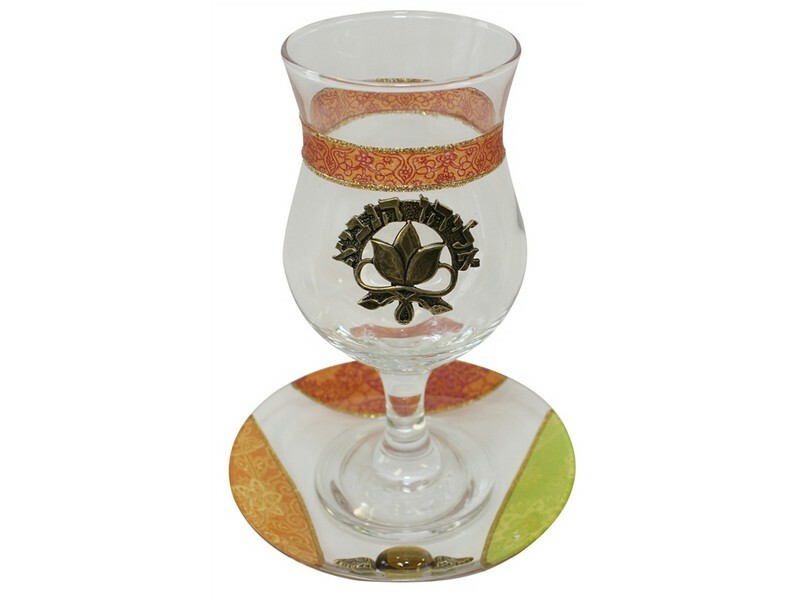 The glass saucer is masterfully color stained with three areas of green, orange and red colors with stunning inlay designs and an appliqued style decoration of half of a ball and leaves. The stemmed large styled glass Kiddush cup has a matching red strip with an affixed metal pendant with the Hebrew words “Eliyahu Hanavi”, “Elijah the Prophet”.